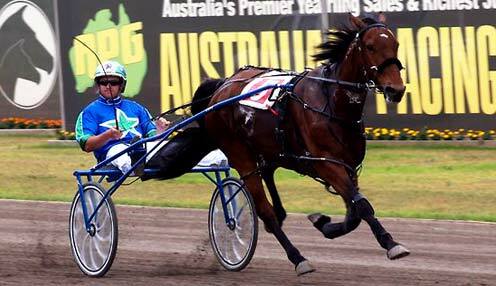 Trainer-driver Rohan Hillier says Ryley Major is the best horse he has ever trained after he returned to action in devastating fashion at Launceston. Ryley Major spent nearly three years in the paddock after suffering a serious tendon injury in 2016 but showed no ill effects when winning on Sunday. "It's been a long road back. We've had a couple of setbacks with him along the way but he's been back in work for six months now. We spend a couple of hours with him every day treating him and getting him right so it's been a concerted effort to get him back but it was all worth it to see him return the way he did last night," Hillier said. "He felt good in the run. I just let him find his rhythm early and he settled just worse than midfield before I brought him into the race out three-wide just inside the bell. "Ryley Major cruised to third at the 400-metre mark and I had a good grip on him when he coasted to the front halfway down the stretch before going on to win by four or five metres, recording a 1:59 mile. I was confident his class would carry him through last night and, if everything goes to plan, we will look at the Easter Cup with him." It turned out to be a highly successful night for the Hillier stable as first starter Dusty Martini strolled to an effortless win on debut, while Dufrense made a successful return from a 10-month lay-off to score a convincing five-metre victory.